Covenant Relationships: Ms Psyche: What’s Your Deal Breaker? Hello beautiful people, how are you, how has your week been? I bet this full work week feels endless after the hols of last weekend (for those in Nigeria), I bet we all wish we had three working days in a week, always. Anyways, back to the matter, what's your deal breaker? And, the role of tolerance in a relationship. Everyone has a deal breaker, you know, those things you just cannot and will not take, even on your best day. Things like; squeezing toothpaste from the middle instead of the bottom, tardiness, etiquette, manners, etc, down to the physical and superficial; height, complexion, looks, physical features, etc. To more serious issues such as violence or the threat of it, infidelity, abuse of any sort. We all have issues that we just can't abide, and standards which our partner(s) must meet. 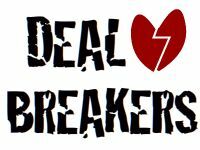 The physical deal breakers tend to form a standard which our prospective partner must meet before the relationship can take off. We all have qualities we seek in a partner, the female in her teens and early twenties wants TDH (Tall, dark and handsome), or TDRH (Tall, Dark, Rich and Handsome), and the joke is that in their thirties, females are less choosy. The young man also wants Slim, svelte, curvy, etc, etc. Let me digress and ask 'if your parents were this picky, will you be here?' Some of us also blame our less than perfect attributes on our parents. Ok, you've found your prince or princess, and are already in the relationship (or marriage), and months or years down the road, you discover some characteristics you just cannot live with, or can't make peace with. There are incidences of decades old couple who suddenly divorce, and it begs the question; what happened, or what did they see which they couldn't take anymore? I mean, they've endured this long, why not see it through. So, I enquired on Nairaland, and the majority of the responses cited Abuse; physical and emotional, with infidelity coming a second close. That we all have deal breakers is a given, the question here is: "What's the role of Tolerance, and forgiveness when we determine our deal breakers?" What could your partner, of considerable time do, that would lead you to pack up the relationship? Infidelity, Abuse, or the spark just isn't there anymore, and causes you to notice all his/her faults? Or do you consider the time you've invested in the relationship or marriage and decide to 'endure or manage'? What's your deal breaker, what act will snap the camel's back?